Helen Virginia Brooks, age 84, passed away at her home, March 7, 2019. She was born to Leo and Mollie Rhodes Pairsh June 23, 1934 in Wolfe City. Helen started her career as a homemaking teacher, and then went to work as an Executive Secretary at E-Systems for many years. She enjoyed genealogy research and was an active member of several genealogy associations including Daughters of the American Revolution and Colonial Dames. Helen had many friends across the country from the genealogy groups she was a member of. 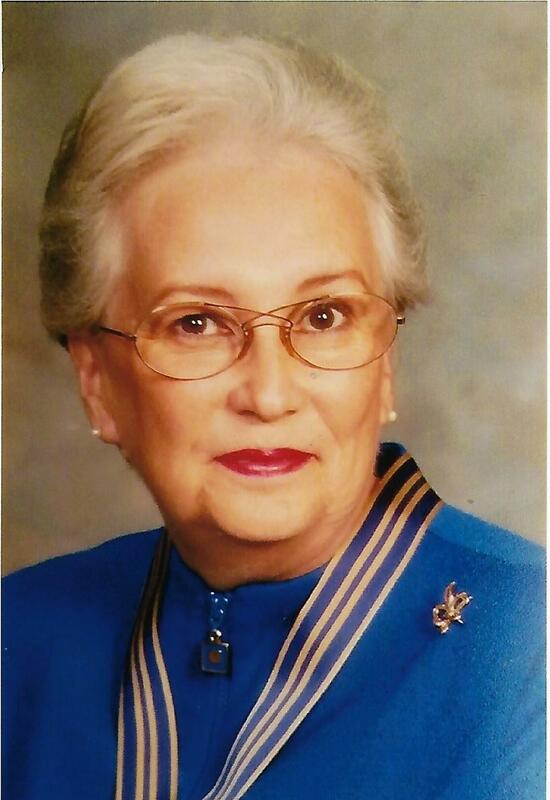 Helen was a longtime member of First United Methodist Church in Wolfe City. Helen is survived by her cousin Johnny Pairsh and wife Marylyn of Wolfe City, cousin Calvin Rhodes of Wolfe City, and her longtime friend Bettie Kesler of Greenville. She is also survived by numerous cousins, nephews, nieces, friends and friends from the genealogical associations. She was preceded in death by her husband Dan Duke Brooks and her parents. The funeral service will be officiated by Dr. Ed Lee and Phil Clay on Monday, March 11, 2019 at 2:00 at Owens Funeral Chapel in Wolfe City. Visitation will be one hour prior to the service at 1:00. Interment will follow at Mt. Carmel Cemetery. Helen was one of the sweetest people on earth. I will be forever grateful to her for the love and support she gave me. Oh I am so saddened to hear about the passing of Mrs. brooks. It was a privilege to have taken care of her for so long. We had many laughs during our visits. She was not just my patient she was like family. I will truly miss her and her wonderful family. Helen was one of the first people I met at church. She was a devoted choir member and I remember co-leading a Bible Study with her. She had a marvelous sense of humor and was always ready for something fun. Loved her dearly. So glad she has received by her Lord and Savior. You will be missed Helen. I learned of Helen’s passing just a few minutes ago and am so saddened by this loss. She and Polly Jane Statham came to several lineage society meetings in Dallas. I always loved Helen. She will be missed.